Make the world a better & happier place one person at a time. Created to make ripples of change heard round the world. It’s kindhearted, altruistic, and designed to inspire. plastic waste in third world countries. We use the HappyTask app to fund this initiative. Imagine a world without waste. Our planet is changing, there is no denying it. Plastic buildup has become inevitable, and it is evident (now more than ever) in our planet's oceans and beaches. We made a decision to play our part and help. 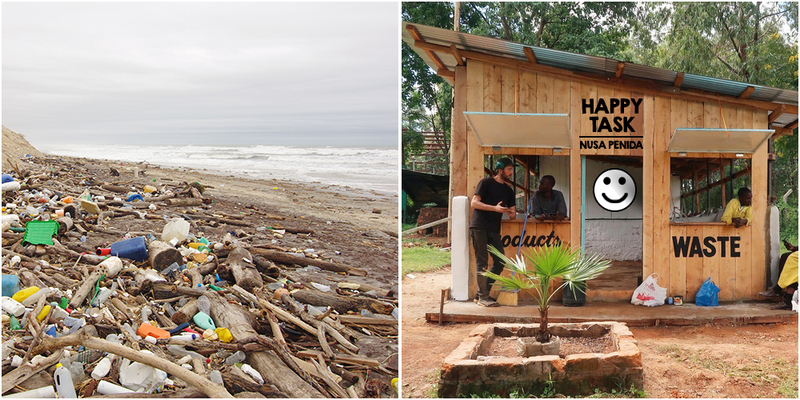 HappyTask sets up recycling centers in third world countries, allowing locals to recycle their waste rather then let it pile up -or worse- burn it. HappyTask Heroes play their part by funding this initiative.